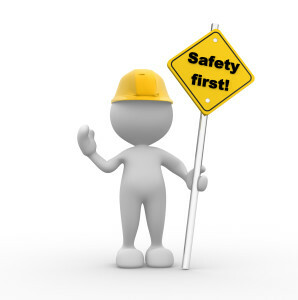 At Apex Fire Protection we are at the forefront of employee safety practices. As a family owned and operated company, the safety of our employees is of utmost importance to us. That is why we educate all employees of safety standards, focusing heavily on product, vehicle, and job-site safety. Hiring Apex Fire Protection means that you can sleep easy knowing that your project is being executed by a knowledgeable, devoted, and safe team. We create a safe and healthy work environment for all employees, focusing on eliminating injury and continual improvement. All injuries and occupational illnesses can be avoided if employees are educated, which is why we will always conduct safety and health management meetings before beginning any project. We hold our employees accountable to our company wide safety policy. As stated in our safety manual, we conduct job site safety evaluations regularly to certify that our employees are conducting business on par with safety regulations. In addition, all of our workers are well trained in Fall Protection, Forklift Safety, OSHA 10-Hour Class and Material Handling. Our workers compensation Experience Modification Rate (EMR) is greatly below the industry standard. Employees work best when they work in a safe and healthy environment. That is why safety is our priority at Apex Fire Protection. We are chasing zero injures and zero losses, by building a safer environment every day.